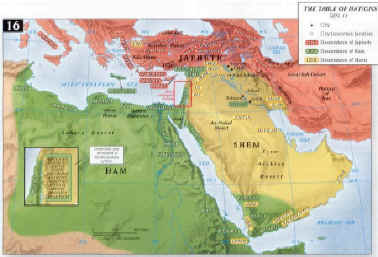 The history of the Israelite nation began in Egypt, the land of Ham. They entered Egypt 70 in number, (including Joseph, his wife and two sons who were already in Egypt), and left numbering over two million people. Ancient Israel spent 430 years in Egypt. For half that time they enjoyed good favor with the Egyptians, but for the remainder of those years they were enslaved and horribly mistreated by them. Since the ancient Egyptians were a black people, Joseph had to be black also. If Joseph and the Hebrews look like Donny Osmond (He protrayed Joseph in a Stage Play), his brothers would have recognized him easily among the "black" Egyptians. But Joseph's own flesh and blood brothers thought he was an Egyptian. 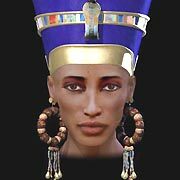 The testimony of the ancients, the scriptures, & many Egyptologists, along with archaeology confirms that the Egyptians during ancient times were a "BLACK" PEOPLE. This is important to know, as we continue, we'll see that the scriptures on multiple occasions describes the ancient Hebrews as looking like the Egyptians in physical appearance. If the Hebrews were a white people, as we have been led to believe. The Canaanites who were familiar with both the Hebrews and Egyptians would have acknowledged them both by saying, "THIS IS A GRIEVOUS MOURNING TO THE EGYPTIANS AND HEBREWS." Without doubt white Hebrews would have stuck out like a sore thump among the black Egyptians. The Canaanites never Identified the Hebrews separately from the Egyptians. The scripture goes on to say that the Canaanite named the place where they saw this great mourning for a HEBREW. Abel Mizraim, which means the meadow of Egypt/Mizraim or Mourning of the Egyptians. Many years after the death of Joseph, His brothers and all that generation that entered Egypt during the time he was viceroy. The Hebrews population in Egypt grew tremendously. Because of this, they were no longer looked upon as friendly neighbors, the Egyptians now considered them hostile enemies and enslaved them. Because of the Hebrews' population growth, the Egyptians decided they would impose upon them their own form of birth control. Pharaoh made a decreed that all Hebrew baby boys are killed at birth. Exodus 2: 10 And the child grew, and she brought him unto Pharaoh's daughter, and he became her son. And she called his name Moses: and she said, Because I drew him out of the water. This is deep, Pharaoh looked into the eyes of Moses as a baby and thought this was his own flesh and blood. He looked into the eyes of Moses as a teenager and thought this was his own flesh and blood. 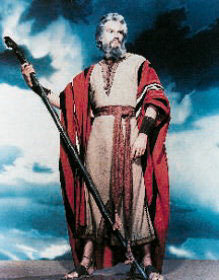 He looked into the eyes of Moses as a young man in his 20's and 30's and thought this was his own flesh and blood. Pharaoh saw Moses grow into a man of 40 and he thought this was his own flesh and blood grandson. My Point for showing her is, some will try to make the argument that all black skinned people on the continent of Africa have jet black skin and super wide noses etc. This sister was born in Africa and she looks like an Ancient Egyptian The Ancient Egyptians were a black people and so were the Hebrews. Further proof that Moses was "black" can be found in Exodus 4:6-7, In this passage, Yah / YHWH, (The Creator's name in Hebrew) is showing Moses miracles so that he can prove to the children of Israel who sent him. 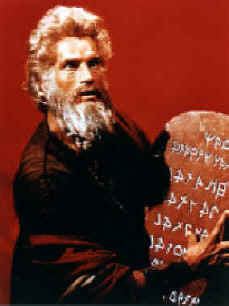 YAH tells Moses to put his hand into his bosom, which he does. When he takes his hand out, it is LEPROUS (White) as snow. Exodus 4:6 And YAH said furthermore unto him, Put now thine hand into thy bosom. And he put his hand into his bosom: and when he took it out, behold, his hand was leprous as snow. Yah goes on to say in Verse 8 that if they (the Israelites) don't believe in the first sign (turning Moses rod into a serpent) then they will believe in the second sign which was changing his skin white. Yah is stating how powerful the second sign is, it will make a believer out of the stiff neck Israelites. Exodus 4: 8 And it shall come to pass, if they will not believe thee, neither hearken to the voice of the first sign, that they will believe the voice of the latter sign. In the book of Numbers, chapter 12 verse 1, Moses' sister and brother, Miriam and Aaron spoke out against him because he married an Ethiopian woman, (not because she was black skinned, but because she was of another culture / Nation, read Acts 10:28:) their behavior angered Yah. Verse 10 says, He TURNED MIRIAM LEPROUS, WHITE AS SNOW. Once again if Miriam, who was a Hebrew, was white to begin with, what would have been the curse of turning a white skinned person white? 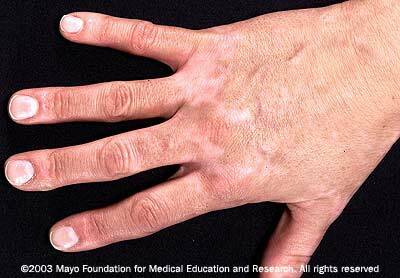 Yah was angry with her, he showed his anger by turning her white with leprosy. If she was already white, why not turn her Jet Black? Miriaim was a black women, and Yah showed his displeasure with her, by changing her skin color from black to white. This was so Powerful that it shocked her brother Aaron. Numbers 12:9 And the anger of Yah was kindled against them; and he departed. 11 And Aaron said unto Moses, Alas, my Master, I beseech thee, lay not the sin upon us, wherein we have done foolishly, and wherein we have sinned. Miriam did not looked like these Young Women. This picture comes from an article in the links section of this site. The name of the article is "Liver Pill turns black man white". 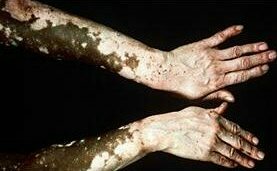 Here is a very profound quote from the article: " In Mr. Kahsay's homeland, he is shunned as a leper, as white pigment is considered a sign of the disease". 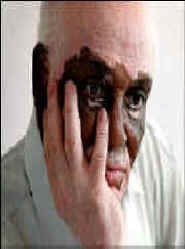 He is considered a leper or a person with leprosy in his homeland of Eritrea, because his skin has turned white. 38 Art not thou that Egyptian, which before these days madest an uproar, and leddes t out into the wilderness four thousand men that were murderers? In the book of Matthew 2:13, the angel of Yah told Joseph to arise and take the young child Yahshuah, (The Messiah’s true Hebrew name is Yahshuah) and his mother Mary (Miriam) and FLEE INTO EGYPT. He was told to stay there until he received further instructions, because Herod would seek the young child to destroy him. 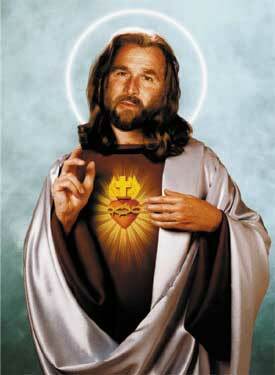 If Yahshuah and the rest of the Hebrews looked like these pictures of the "Christian Christ". 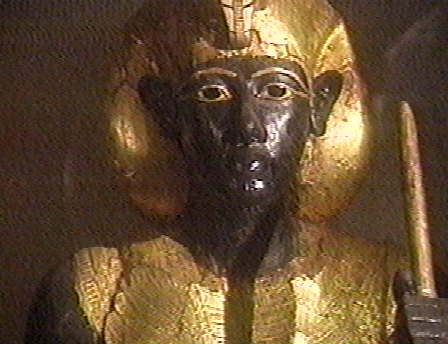 It would have been hard for him to hide in Egypt (among the black Egyptians) and not be noticed. The Program was called 'THE COMPLETE JESUS'. Dr. Mark Goodacre (pictured) stated, it would have been hard for Yahshuah to hide among the Egyptians, if he didn’t look like the Egyptians. He was making the point that Yahshuah could not have been a man of white hue. 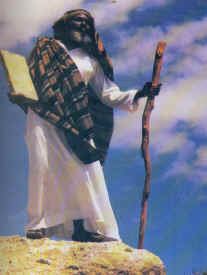 He admitted in the program that Yahshuah was a dark /black skinned man.